The antenna tower of the Mount Irish site. All antenna cables lead into the building on the right. 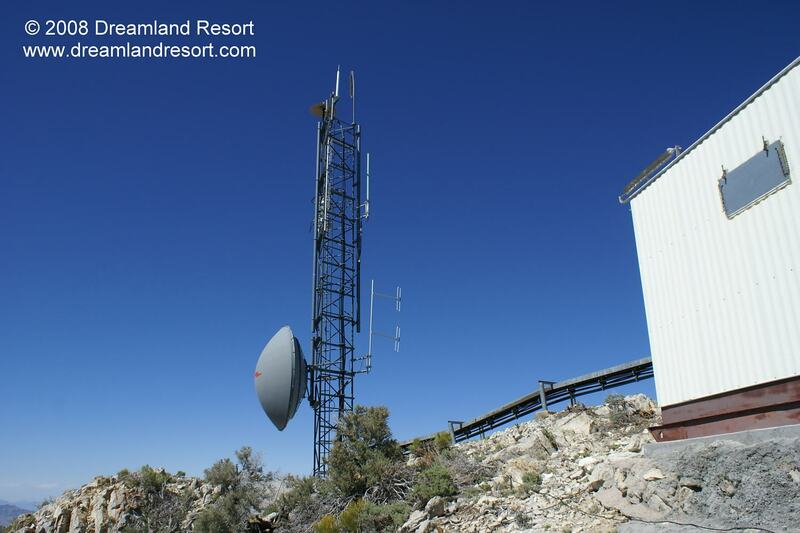 The large microwave dish points to the Cedar Peak radio site, which is part of the NTTR radio system. Photo by Gregos, with friendly permission.